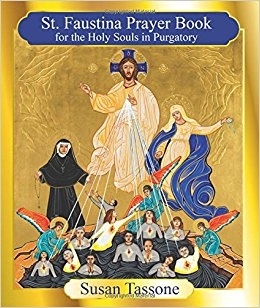 Susan Tassone, known worldwide for her work to empty purgatory, turns to St. Faustina, known as an Apostle of Mercy, as a powerful guide to help us devote ourselves more intensely to the duty and privilege of praying for the holy souls in purgatory. Here you ll find a wealth of spiritual tools including devotions, meditations, novenas, and prayers, coupled with the wisdom of St. Faustina that you can use to join in this soul-changing mission. Size: 6" x 5" x0.6"